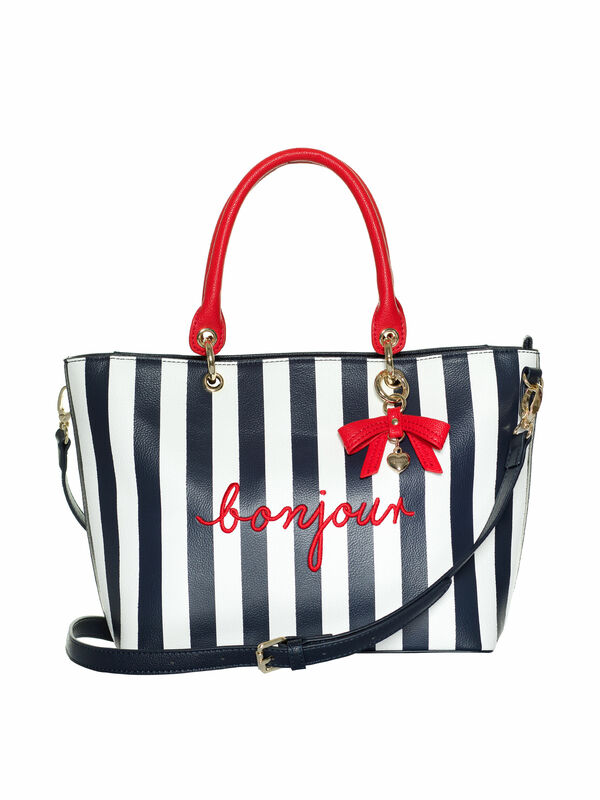 Bonjour Bag https://www.review-australia.com/global/bonjour-bag/RE19ACC214.RENVY038.OneSize.html Say Bonjour to sophisticated yet playful accessories with this navy bag. 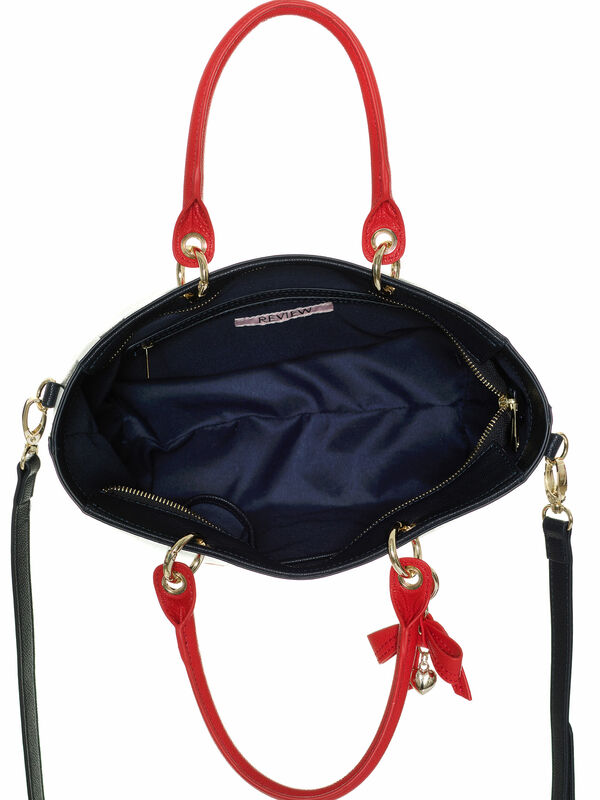 Crafted from easy wipe-clean materials and fitted with a removable strap so you can decide between an over-the-shoulder look or a shopper-style bag. 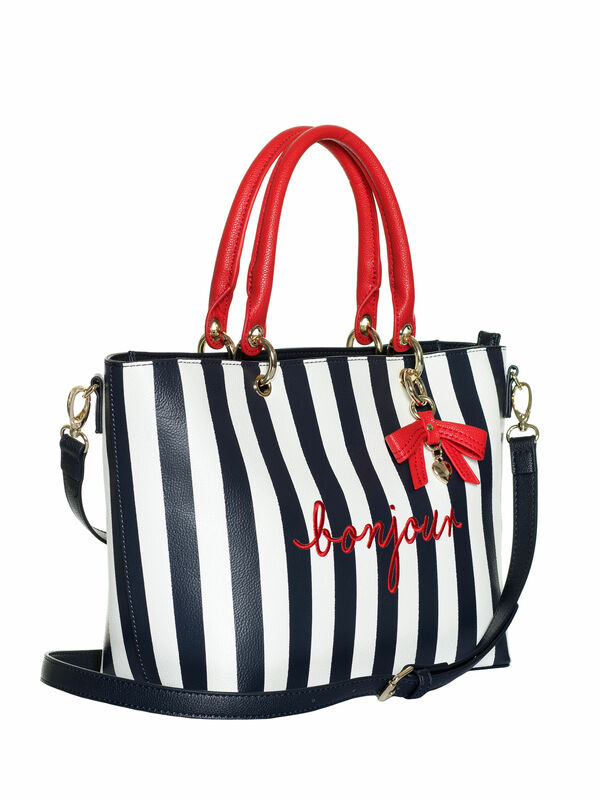 It comes with a removable red bow shaped keyring and is adorned with a red 'Bonjour' embroidery against a navy and white striped background. 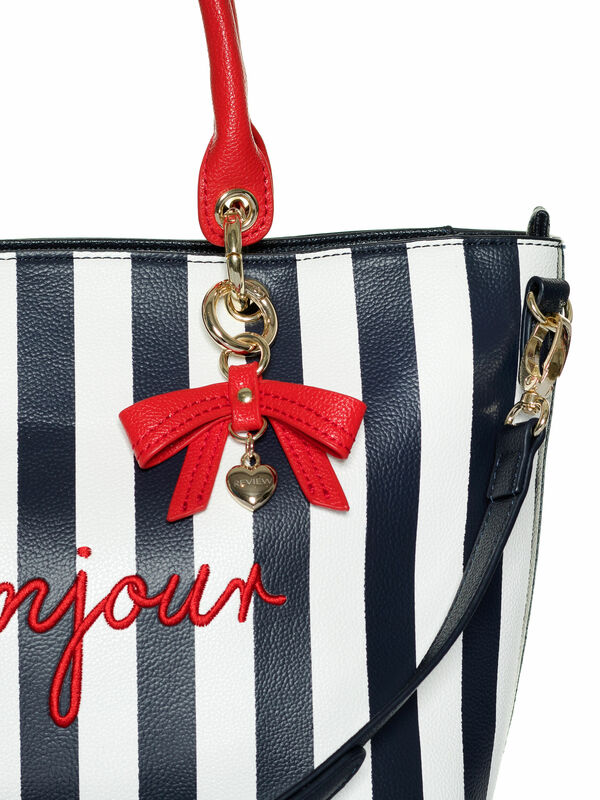 It closes with a zip for a secure finish.